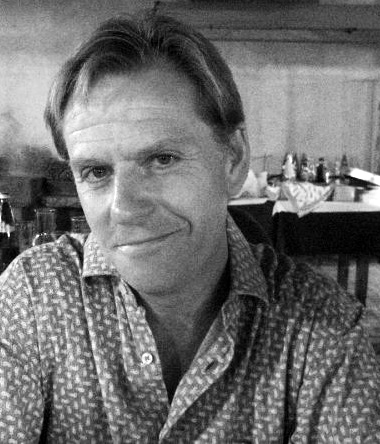 In this series of “Assignment” posts, Fred Lynch shares some of his time-tested illustration course assignments, and showcases some of the terrific results. Directions: Create 88 illustrations of an apple. The illustrations may be in color or black & white. Explore every idea, approach and/or media possible. Be inventive and push your creativity. Challenge your limitations. We are looking for variety. The format and size of the illustrations are be decided by the artists. They may be small. Create each illustration on a separate piece of paper or as a separate entity. Critique: In class, each student takes a turn spreading their works over a large tabletop. Classmates are lead in a discussion of the series. Students offer observations and characterize commonalities and scarcities which are written down and given to the student at the end of the discussion by a designated class “scribe.” Students then find consensus (not always easy) on which ten works are the finest and move those to the center of the table. Objective: This assignment forces students to go far beyond their expected paths to success, revealing surprising breakthroughs of style and substance when creating work for variety rather than consistency, and for quantity rather than quality. In addition, students confront the need for self-discipline for this difficult production deadline, and exhibit the benefits of an exhaustive examination of a single subject. Upon examination of the entire class’s results (over 1000 apples) the works reveal the unconscious qualities that run through each artist’s work, making it unique. Students entering the class generally feel frustrated in having exhausted all of their possibilities. Leaving class, students understand that there were many, many unconsidered approaches and solutions, and that the possibilities going forward are both endless and personal. Students too, are often surprised by what fellow students appreciate in their work, especially through the eye-opening choices of their “finest” works. 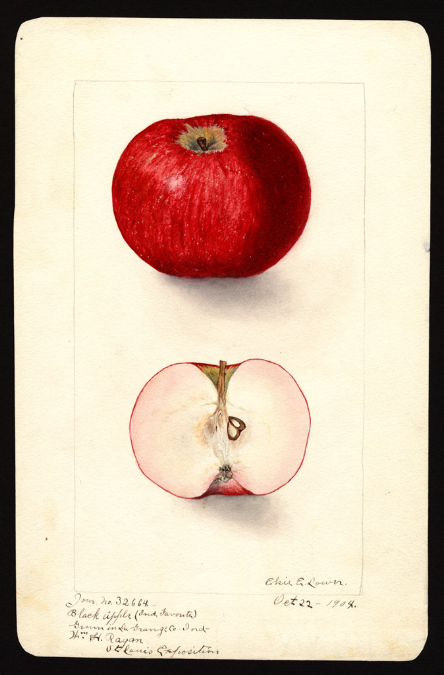 The United States Department of Agriculture has a digital collection of 3852 apple illustrations created from 1886 to 1942 on its website. The works were created by 21 artists and document the extensive varieties of the fruit. Originally created using watercolors, the images were then translated to lithographs.